Expectation can be a dangerous thing. Even a little bit can ruin the best of things. I think that’s the main problem I had with this movie. This was further compounded by the amount of time it took to reach my country’s cinema – almost two months after its release in the US. So by the time I got to watch it, I’d been hearing hype about the amount of money it made and how everyone was loving it but unfortunately, it never reached my expectations. 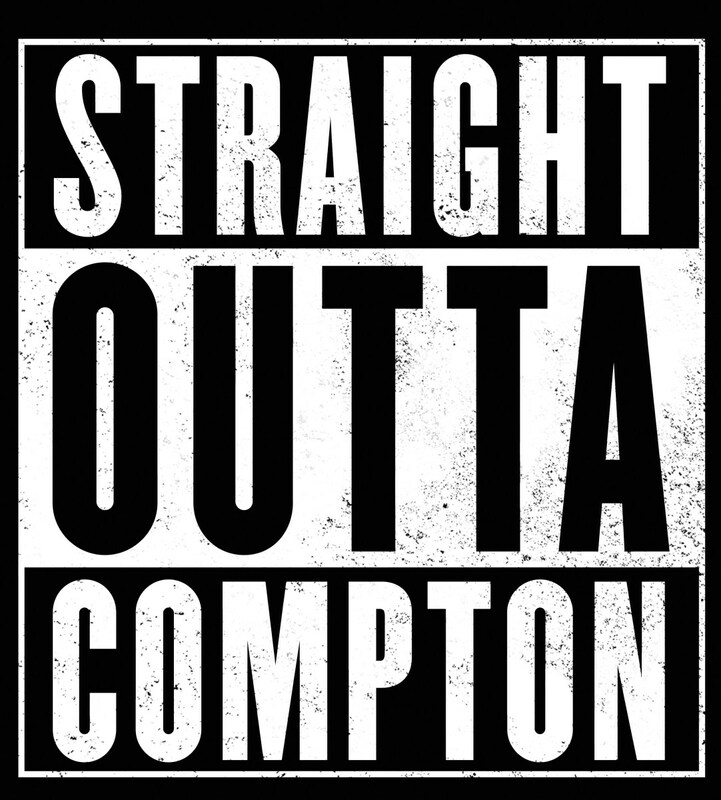 Okay, basic plot: Eazy E, Dr Dre and Ice Cube are three young, back men from Compton who decide to start a hip hop group – N.W.A. to escape the deplorable conditions of their neighbourhood whilst shining a spotlight on these conditions with their music. Their uncensored and brutally honest style of music becomes a national phenomenon launching the group into instant fame, money and success. The three must now navigate the pitfalls and benefits of their new-found success whilst trying to maintain their brotherhood and stay true to their roots. All biographical movies (in fact, all movies) have three parts: a beginning where we first see our struggling artists; a middle where we see our artists flourishing and enjoying the double-edged sword that success is and a conclusion where the artists, now armed with greater knowledge and insight, resolve their initial issues and crack on with the rest of their lives. The middle is usually where problems arise because since the artist has so many legendary stories to tell (because that’s what happens when you’re making millions and women are begging you to cover them in your seed) that the filmmakers often try to tell all of them. This leads to a lack of focus in the movie and, more tragically, leads to a movie whose length doesn’t match its content. This movie is far too long! I’m talking twenty to forty minutes too long. Because the director is trying to show you every little event that happened in the history of The N.W.A. there are tons of scenes that add absolutely nothing to the story. These scenes needed to be condensed while others needed to be completely removed. They make the movie feel disjointed and add pointless minutes to its runtime. That being said, while you’re watching all these pointless scenes, you’re having a good time because of the quality of this film’s acting. Jason Mitchell, Corey Hawkins and O’Shea Jackson Jr. who star as Eazy E, Dr Dre and Ice Cube respectively all do amazing jobs. They really put in some heartfelt performances and really embody the spirit of their characters. Jackson and Mitchell, in particular, are brilliant in their respective roles and really entertained me. Paul Giamatti is also in this movie and plays the sleazy manager of the group – Jerry Heller. Giamatti does an amazing job and is one of the best actors in this movie (if not the best) but his character, like so many other aspects in this movie, is missing an element of Hollywood dramatisation. Too many things in this movie aren’t exciting enough or sensational enough and perhaps they were trying to stay as true to story as possible but certain aspects of this movie are just too boring for film. I wasn’t born yet when The N.W.A. started and I’m not really a fan of old school hip hop music so I didn’t know much about the story of the group or its individual members and this movie did a superb job educating me. At times this movie feels like a documentary because of how it lays out events and explains things thoroughly. Unfortunately, at times, it feels like a documentary and is far from the exhilarating ride that the trailer promised. 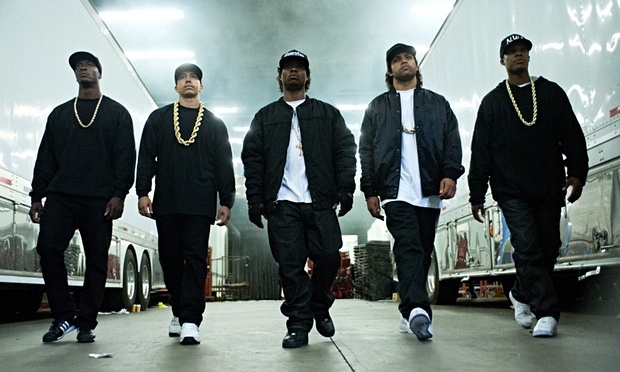 The really exciting part of this movie – where N.W.A. first start up and shock the world with their no-holds-barred lyrics and their arrogant disregard for the police – is actually a really short part of this movie. The majority of this movie is devoted to showing the members of the group doing pretty sedentary things like hosting board meetings and moving houses. I understand that this is all apart of the journey of the group but things like that need to be shown in a montage or condensed two-minute scenes. We don’t need to see everything to understand everything, that’s my point. P.S. The only thing I’d recommend doing with regards to this movie is getting its soundtrack because it is amazing. Still need to see this. I am an old school hip hop head and know a lot about the group so I’m hoping to be more entertained than educated. Your review has me worried, but we’ll see.